If most of the activities you do involve walking, then you understand the importance of having the right walking shoes. 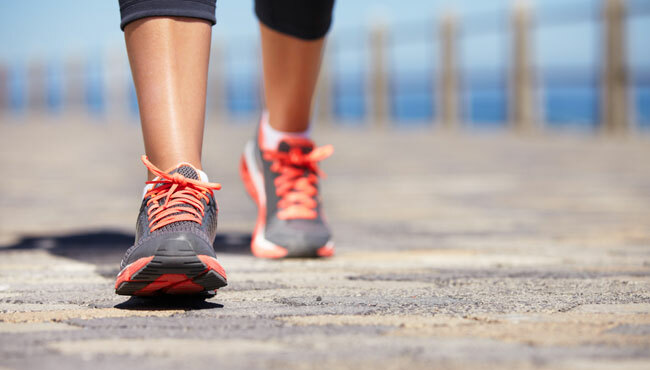 Walking for extended periods in wrong shoes normally lead to painful blisters and other issues. This is why you need comfortable shoes. This is the first thing you need to consider if you are looking for the best walking shoes. It is needless to say that lightweight shoes are perfect for long distance walks. Heavy shoes will weigh you down and make it harder to achieve your daily goals. It is important to choose a shoe that is flexible enough to make walking blissful. This is because the feet will constantly flex during toe-off. If you want your feet to flex and bend better, you should go for grooves that are cut horizontally cross forefoot of outsole or at the bottom of the shoe. If the shoe lacks flex groove, you should consider the flexibility of the material used in the outsole. Walking requires moderate cushioning as compared to running. This is why low midsole profiles are used on walking shoes. There is normally less impact to the feet when you are walking than when you are running. A good walking shoe should have the cushioning under the foot base. This is important especially if you have sweaty feet. The upper material used to make your shoe will determine how breathable your shoe really will be. The upper material of your walking shoe should not only be sturdy enough to offer the needed support, but breathable too to keep your feet comfortable. Shoes made from synthetic mesh and a good material tend to be breathable, lightweight and durable. As much as leather shoes may be sturdy, they are less breathable and may not be the best shoes for walking. So before you buy a pair of shoes, click this link to check the materials. Walking may be low-impact as compared to running. However, you still need shoes that will offer you better stability. In that case, you should look for low-profile heel that have a bevel on the outer side. This keeps the ankle and the feet steady as you walk. The heel should also allow the feet to roll through, promoting foot strike which is efficient for long distance walking. The material used to make the shoe should also reinforce the heel area to offer more stability. With that said, you should now be able to choose comfortable walking shoes. When buying the shoes, you should never expect a tight-fitting shoe to eventually stretch out. A good shoe should perfectly fit you. If it is too tight just let it go.